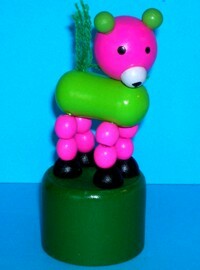 This little bear mad from bright pink and lime green beads. Its tail is made from yarn or wool. Cute little hand-painted face and good push action. made from pale yellow yarn.